Forget chocolate! Switzerland has a lot more to offer like a superb luxury hotel scene, excellent gourmet food and picture perfect villages. The slopes are far from overcrowded and shopaholics can treat themselves to a new designer outfit. 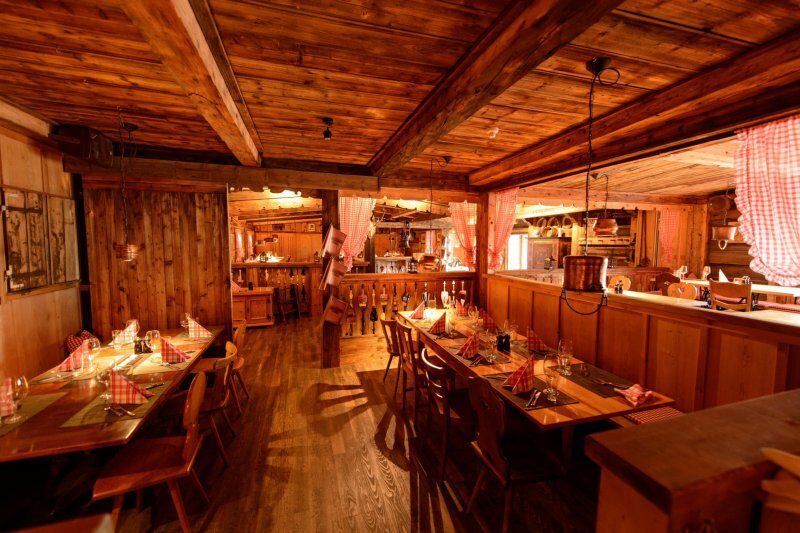 A super central located luxury hotel in the lively main street of Lenzerheide with a legendary in-house restaurant called Heid Stubli, famous with locals and fellow tourists. The Rocksresort is known for clean design, untreated oakwood combined with slick structures and minimalistic furniture. The Cambrian Adelboden - Designed by Paul Smith and B&B Italia. A big asset to Adelboden and the AlpineBooker collection! Arriving at Chalet Royalp means leaving all daily business behind. This chalet-style 'home' filled with luxury will get you into relaxation mode in no time! There are a few legendary ski hotels in the world and The Kulm is one of them! The design is blend of a prestigious grand hotel and a modern ski hotel. The building still breaths the vibe of last century elite balls, once inside you will find yourself in a stylish oasis of luxury mixed with delicate contemporary elements. Imagine a hotel located at the edge of a pine forest, facing the Matterhorn at located at 2222 meters above sea level. The Riffelalp is unique for its location, outstanding service and style. Something old, something new. The hotel is actually an authentic Swiss chalet that used to serve as a farmers house. High standards at 1800 metres above sea level tucked away in the Swiss Saas valley. Ferienart has everything you need under one roof! One of Gstaad's greatest and majestic hotels with a rich history and extraordinary, luxurious services. A great marriage between contemporary elements and authenticity. A world of luxury, Alpine cosiness and Swiss hospitality awaits you when checking in at Le Crans. Outstanding service, extreme luxury, elegant rooms & suites and award-winning restaurants all under one roof. The Kempinski Grand Hotel des Bains is a true landmark in Switzerland's hotel scene. If you are in search of excellence than this place is definitely to your liking. Stop the search and let the pampering begin! An luxurious hotel in an iconic building in the beautiful surroundings of the ancient village of Flims, Once know for its dairy produce and now a lively wintersports town with a huge skiing area as a backyard. Enjoy one of the most eccentric hotels in the world including a breathtaking, award winning spa. The hotel comes with a private luxury mono rail to the slope. This place gives a whole new meaning to the word 'luxury'. The Badrutt's Palace dates back to 1896 and is renowned to be one of the first Alpine hotels that accommodated skiers and mountains lovers from all over the world. A legendary hotel in the heart of St Moritz. The Alpina is the perfect example of the elite luxury, Gstaad is known for. It sets a whole new standard for Alpine charm and design. A breathtaking hotel in a breathtaking valley. One of Switzerland's finest mountain hotels where luxury and contemporary design go hand in hand without taking away the true Alpine spirit. Located directly on the fairway of the golfcourse during summer and near the ski lift during winter. Guarda Golf is a true Swiss boutique hideaway with stunning panorama views. A small and very luxurious hotel with a Michelin star ranked, Walserstube style restaurant making it a picture perfect Swiss hotel! The hotel opened its doors just a few years ago and therefore you will be amazed by all the modern luxury the Capra has to offer. The hotel also offers Gauld Millau awarded food and an extensive spa. A colourful luxurious hotel right in the upper Engadin valley in the picture perfect hamlet called Champfer, next to St Moritz. This is ultimate luxury, The Chedi Andermatt is a league of its own. Everything you might have heard is true, this is pure luxury at its best! Don't forget to try the Michelin star restaurant and the outrageous spa facilities.